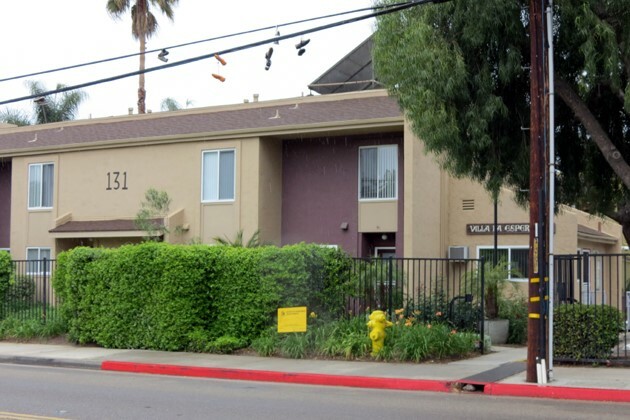 By Gina Potthoff, Noozhawk Staff Writer | @ginapotthoff | Published on 04.07.2015 6:43 p.m.
Peoples’ Self-Help Housing plans to expand and renovate the Village La Esperanza apartments in Old Town Goleta, one of its local affordable housing complexes. The area nonprofit brought its plan before the Goleta City Council on Tuesday so the city could help secure funding from the California Municipal Finance Authority, which aims to finance economic development and charitable activities statewide. Goleta’s involvement was a formality, since it won’t be doling out money to expand or rehab the 75-unit apartment complex at 111 S. Kellogg Ave., north of Hollister Avenue. The Goleta City Council unanimously approved adopting a joint exercise of powers agreement to issue tax-exempt multi-family housing revenue bonds — not to exceed $26.5 million — as a loan to Village La Esperanza for the Peoples’ Self-Help Housing project. The California Municipal Finance Authority, which would issue the bonds, and the Internal Revenue Service both require the jurisdiction in question (Goleta, in this case) to authorize the sale of bonds and to host a public hearing on the subject. No one showed up to speak, but the meeting marked a milestone for Peoples’ Self-Help Housing, which has been managing the Villa La Esperanza apartments since October 2012. The nonprofit took over operations from the Goleta Valley Housing Community, a collaborative of local churches that managed Villa La Esperanza as affordable units for four years before that, according to PSHH President John Fowler. “They really wanted to leverage that into doing more affordable housing in Goleta,” Fowler told Noozhawk, noting that PSHH absorbed the housing collaborative into its own mission of providing low-income families, seniors and others in need with affordable homes. The bond will help PSHH do just that. Proceeds will fund the construction of eight more affordable housing units — some five-bedroom units will be converted into two-bedroom units or studios — as well as the expansion of the community building and renovations to the rest. The rehabilitation seeks to increase energy and water efficiency and will include a 20-year renewal of the existing Housing Assistance Payment contract providing Section 8 rental subsidies. Rents will be restricted to households with incomes of no more than 60 percent of the area median income. Goleta will, however, pocket 25 percent of the finance authority’s bond issuance fees — approximately $13,500 — into its general fund. Staff recommends the money be reserved for housing assistance, such as the city's contract with Santa Barbara for the rental housing mediation task force or the affordable housing trust fund. “What are we bringing to the table if there’s absolutely no liability to the city?” Mayor Pro Tempore Jim Farr asked. City staff explained the hearing was more clerical, since Peoples’ Self-Help Housing doesn’t have the authority to issue bonds as a private entity. City Councilman Michael Bennett said he remembered the council authorizing a similar bond request for Goleta Valley Cottage Hospital years ago. Peoples’ Self-Help Housing, which manages 18 other affordable housing properties countywide, plans to direct any leftover bond funds to the 75 units the nonprofit has reserved within the approved Village at Los Carneros housing development. Fowler said the nonprofit should hear back about bond funding by late May, and, if approved, construction could move forward in another three to four months. — Noozhawk staff writer Gina Potthoff can be reached atgpotthoff@noozhawk.com. Follow Noozhawk on Twitter: @noozhawk,@NoozhawkNews and @NoozhawkBiz. Connect with Noozhawk on Facebook.